Olga Sureda Guasch (Madrid, 1984) is a young independent curator and writer who lives and works halfway between Barcelona and Berlin. She has participated in the Intensive Course about Curating beyond Exhibition Making at ICI Independent Curators International (New York), she has also attended a Summer Course about Curatorial Workshops at the Internationale Sommerakademie für Bildende Kunst (Salzburg) along with the curators Maria Lind and Juan A.Gaitán, and has been one of the resident curators at Node Center for Curatorial Studies (Berlin). In Berlin, she curated different exhibitions and projects and she is the author of several essays about Curatorial Practices and Contemporary Art, published in different countries, such as Philippines, Germany and Portugal. Olga Sureda studied Fine Arts at the University of Barcelona (UB) and finished her studies at the University of West England, Faculty of Arts, Media and Design in Bristol. In 2008 she obtained her Master degree in Management and Design of Exhibitions at the European University of Madrid (UEM). Prior to relocating in Berlin, Sureda has been working in the Exhibition Department of La Fábrica (Madrid) as assistant of several curators and organizing and supervising the arrangement and display of artworks of different exhibitions and in several venues around Spain. In 2010 she worked in diChromA photography, where she acted as the Exhibition Coordinator. 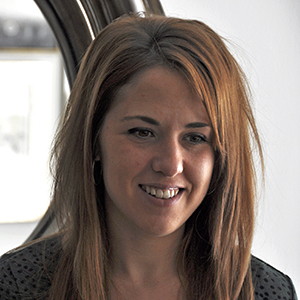 She has also participated in several projects as manager of the documentation and research, as the exhibition space designer in some seminars and congress and as the curator’s assistant in the international exhibition La Memoria del otro en la era de lo global, (Bogotá, Colombia, 2009, Santiago, Chile, 2010), among others. Currently she combines her independent curatorial projects with the coordination of the Seminar ON MEDIATION Theory and Curatorial Practices in the Global Art, organized by Art Globalization and Interculturality. Olga Sureda is one of the researchers in the platforms Global Art Archive (GAA) and Art, Globalization, Interculturality (AGI). She is member of the Association of Visual Artists in Catalunya (AAVC) and she belongs to a select group of Museum Mediators as part of the Lifelong Learning Programme, ECCOM.